The Garden Press Event was originally dreamed up over ten years ago as a way for growers and horticultural trade representatives to meet the Gardening Press and talk about new ideas, plants and products. In the early years, it was held in one of the RHS London Halls and it was one of the few times in the year when gardening writers could get together and catch up, as well as finding out about new products. Then the show began to struggle. Two consecutive years of heavy snow on the day of the event caused a huge decline in attendance thanks to the resulting disruption to public transport and the organisers, including Richard Jackson (now of Richard Jackson’s Garden) seriously considered closing it down. Thankfully, they persisted and the event is now one of the most important exhibitions that we go to. It’s our one chance to talk to all the companies face-to-face, without interruption, and find out what’s new. Talking to exhibitors at a public show is difficult, because you’re acutely aware that they’re there to sell, so if a customer comes up, you have to make way and let them work. 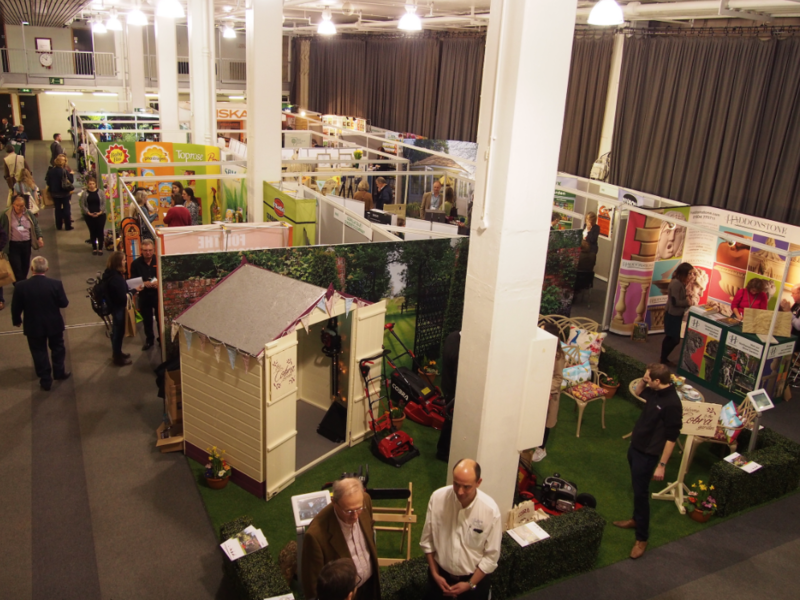 This year, the Event was at the Barbican Centre in London and these days it’s bursting at the seams with exhibitors. Most of the major retailers and manufacturers attend to show off their range for the coming season and growers show off the newest additions to their stock. From raised beds to barbecues and mowers to seeds via garden chemicals, furniture and places to visit - it’s all here. It’s fascinating to find Anne-Marie from the beautiful Keukenhof Garden near Amsterdam next door to Westland Horticulture with all their compost and lawn seed. It’s also an opportunity for newcomers to the industry to make their presence known by talking to the people who can bring their product to the attention of the gardening public - you! So who are the Gardening Press? When this show started, it was almost entirely people who had started out as Horticulturists and found their way into writing about gardening, like Alan Titchmarsh, Peter Seabrook, Christine Walkden and John Negus (and us!). There were also people who had come in from related subjects, like Pippa Greenwood, Stefan Buczacki and Nigel Colburn and representatives from local BBC radio stations who have regular gardening phone-in programmes. This began to change to include people who had come to garden writing as part of a second career, usually because they had a garden of their own and wanted to pass on their experiences. Today, the list also includes both bloggers and vloggers, some of whom write exclusively about gardening, others about lifestyle generally, including gardening, and yet more who write about gadgets and who tend to stick to the machinery side of the subject. This year, the visitors included first-timer Jim Buttress (of Allotment Challenge fame), a lifelong Horticulturist who was grinning like a kid in a sweet shop and told us “This is fantastic! I can’t believe I’ve never been before.” Jim was there to represent other Gardening Shows, as were the RHS, who were publicising their events for the coming months. The only people you never see there are the ones who present the current main gardening programmes on television, unless they are being paid to promote something. The exhibitors came from far and wide, including Germany-based Lubera, with their range of fruit, and Cadix from Holland with their lightweight, fully-recyclable pots. Machinery manufacturers included Stihl, Flymo, Fiskars, Hayter, Bosch, Gardena, John Deere, Mower Magic and EP Barrus, who have brands like Wolf Garden, Wilkinson Sword and Lawnflite. Sundries included PlantGrow fertiliser, Remin Rock Dust, Vitax fertilisers, Neudorff organic garden products, Briers, Johnson’s Lawn Seed and DJ Turfcare lawn treatments. Plant growers were represented by, amongst others, David Austin Roses, Thompson & Morgan, Suttons, Van Meuwen and The Vernon Nursery. This gives you an idea of just how many stands you have to try to get round in the day, because it’s only a one-day show. We know we never get round everyone, even though we start at 9am when the show opens, split up and work separately. Sometimes, it’s not until we sit down on the train home that we realise just how much we’ve missed. Arguably, the good thing is that someone else will have done the other stands and the information will get out to gardeners in one publication or another! So, when you read about new products for the spring and summer in the various papers, magazines or blogs over the next few weeks, remember - now you know where their information came from!